Here is some modern psychedelia made entirely from Google maps. If you are prone to seizures, be warned of effects. I love it! 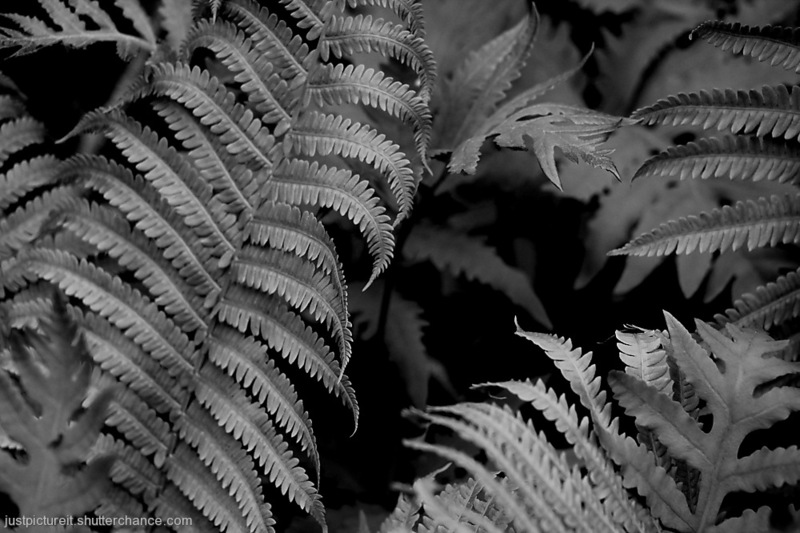 Ferns are always lovely... you can show them anytime! Mary MacADNski: I was admiring many ferns yesterday and realize I did not take any shots of them specifically. I am watching the video again now and love it still. Colour work best for me, Mary. Ferns have that intense green. I go this time for the colour version. They look so silvery in the top one Mary. J'aime le beau vert de ces photos. i think the serrated edges come out more in the b/w image but i like both. I find it interesting that the b&w shows up more 3D than the colour one. Another one where the B.& W.version works really well. Such a similar structure but very beautiful, I love to see them in early spring just a s they start to unfold. And quite lovely again - fern leaves are very attractive at any time.